In 2015, Scott Brash became the first Grand Slam winner in history! To achieve the Grand Slam Title a rider has to win three events - CHIO Aachen, CSIO Spruce Meadows, and CHI Geneva. 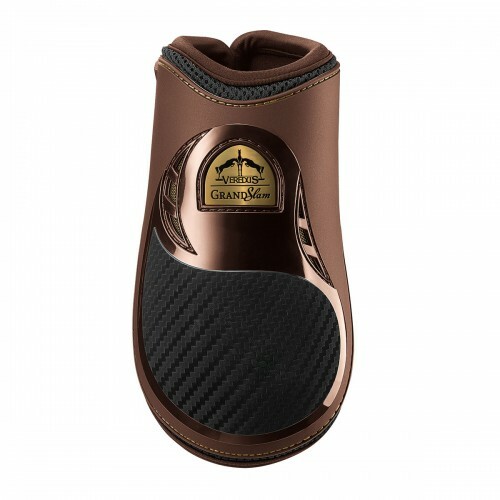 Veredus honors this coveted title by offering the Grand Slam collection featuring gold accented decal and logos. Double Ventilation System releases heat build-up by channeling the heat away from the horse's leg. • Carbon Fiber™-Provides the highest level of impact protection in strike zones. 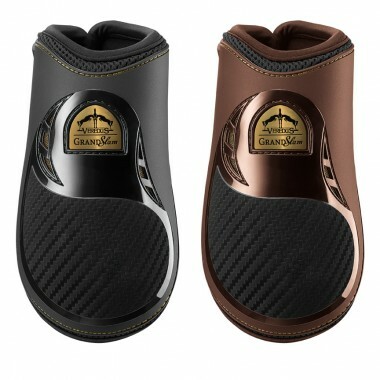 • AEROX®-Vented neoprene lining provides the highest level of ventilation with shock absorption. • 3D Ducted Mesh™- Channels heat away.